The Party Connection is excited to bring you the highly popular Corn Maze. With its life-like appearance, this Maze is a favorite activity year round for all ages. Get lost in twists and turns, through all of the fun and laughs you will have, until you finally find your way out. Want to have some fun with family, friends, or co-workers? Or perhaps you have someone particular you need to prove yourself to. Choose your directions carefully and be the first one to find your way out!! The Corn Maze, ,brought to you by The Party Connection includes full digital graphics of a real corn maze and a giant 11 foot , 3-D corn entrance. 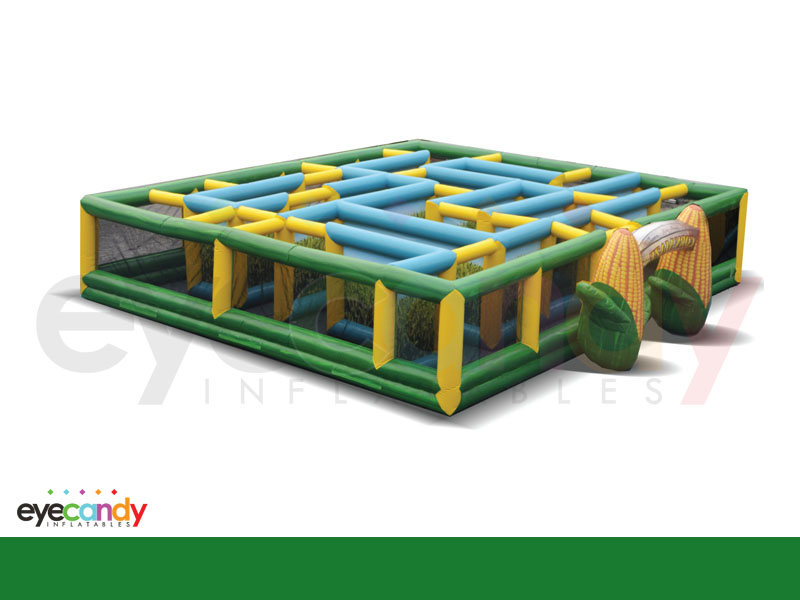 It is truly The Party Connection way of bringing fun to the whole family regardless of age.